It is 2018! I never grasped what 2018 would look like when I was a kid and honestly, it’s just not that “Back to the Future” place I imagined. No one is flying on a disc to the grocery store, but we are sitting down and riding in cars a lot more than people did in the 1950’s. In my humble opinion we are spoiled rotten and we get to choose just about everything that we do in life! We are so very lucky! We choose our car, our job, our grocery store and our health club! Thank goodness, we all chose Timberhill Athletic Club because it has just about everything you could want or need in a workout facility! What’s the problem then? Why have you been working out so hard for so long and maybe not met your goals? 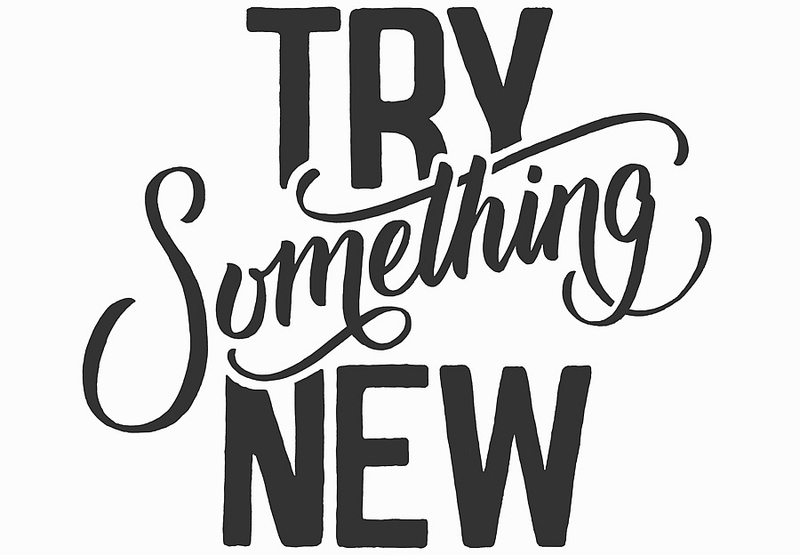 TRY SOMETHING NEW! Because guess what we have it! Step out of your comfort zone! Be Brave! Walk into a new class. Hire a personal trainer. Start lifting or try Group Power! Do not miss out on something that may change your life literally because the class always looks full or people sure do sweat a lot in there! Ha Ha! I was personally terrified when I walked into my first cycle class and when I left I wasn’t sold on it at all, in fact I had to try out several instructors to find my vibe and now I teach cycle and can’t imagine not getting my adrenaline rush a few times a week in there! If your balance is off when you get muscle fatigue, try Pilates! Pilates too long? Try my new class Rock Bottom Glutes and More! I can promise you increased agility and better range of motion in time with an investment in these types of workouts! One of my very favorite workouts at Timberhill is Boot Camp on Tuesday and Thursday with Dayna! I know what you’re thinking, BOOT CAMP? I’ll pass! I hear yelling and see sweaty people walk out of there and you know what, I didn’t go into the military and never wanted to go to Boot Camp! Can I tell you why these workouts are called Boot Camp? Because truly you cannot get any more basic than basic training aka Boot Camp. In Boot Camp Dayna uses very few pieces of equipment and a person becomes stronger and faster using their own bodyweight! Your body is full of muscle and it’s heavy! You take it everywhere with you so why not be able to lift it in the push up position, run with it as fast as you can in short sprints at YOUR best pace. You will be surprised what you can do if you walk inside that room and TRY! I have been to boot camp and Dayna is what I call “legit” she knows how to combine exercises and help a person dig deep to achieve things that they’ve never done before! Boot Camp at a bad time? Still too scary of a thought? I think we all know how talented and educated Shandra is and she has a class so very similar called Metabolic Conditioning! I’ve been to it, I loved it! Zumba! Are you kidding me, we can DANCE away the cheesecake? People, life is so easy for us! We have so many avenues of approach in exercise here at Timberhill Athletic Club! I met a member 2 weeks ago that said he’s been coming to the club for 33 years and NEVER walked into a class and now he’s been to 5 of my cycles classes and I feel honored! BUT let’s just say he walked in, tried it and found my music selection or my style to be not to his liking, the best part about our cycle program is that Timberhill does not dictate to us as instructors how to teach our class; rather they want us to be us and you choose where you want to be. If we were all the same how boring would that be? I’d love to tell you about every class Timberhill has but confession time; I still have not been to Yoga because YES I am intimidated by the quiet and the amazing flexibility I see inside that room. I really want to do it and I plan on it. I mean to say I’ll step out of my comfort zone if you will! Lori Rinck teaches Rock Bottom-Glutes and More! Tuesday/Thursday 9:15-9:35 AM and Cycle Tuesday/Thursday 12:00-12:45 PM at Timberhill Athletic Club.